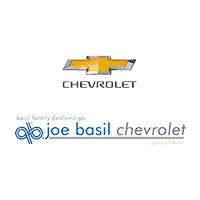 If you’re looking for new Chevy vehicles near Buffalo, turn to Joe Basil Chevrolet! We offer a comprehensive inventory of new Chevy trucks for sale, as well as full-size SUVs, and sedans with lots of cargo space and great fuel economy. Whether you’re looking for a Chevrolet Silverado or a Chevy Impala, we’ll help find the vehicle better suited for your driving needs. New vehicle pricing includes all offers and incentives. Tax, Title and Tags not included in vehicle prices shown and must be paid by the purchaser. While great effort is made to ensure the accuracy of the information on this site, errors do occur so please verify information with a customer service rep. This is easily done by calling us at 716-206-5251 or by visiting us at the dealership. Why Choose a New Chevrolet from Joe Basil Chevrolet? The sales team is here to get you behind the wheel of the new compact SUV, car, or full-size pickup truck that suits your budget and driving needs the best. Contact us today with any questions! If you’re ready to take your Cheektowaga commutes to the next level, visit our Depew showroom today for a test drive!